You must make reservations at least 5 minutes in advance of the time at Casa Orinda. Our complimentary valet-only parking lot is conveniently located next to the front door. Freeway entry is quick and easy! BART is right across the street! It doesn't get easier than that! Please join us for MEXICAN MONDAYS! Our authentic Mexican Monday specials are all made to order with the freshest ingredients by our talented staff. We are able to accommodate parties of up to 65 in our banquet room. We also offer a more private setting which can seat up to 20 people. Casa Orinda has been serving the finest Western and Italian food in the area for the past 84 years. 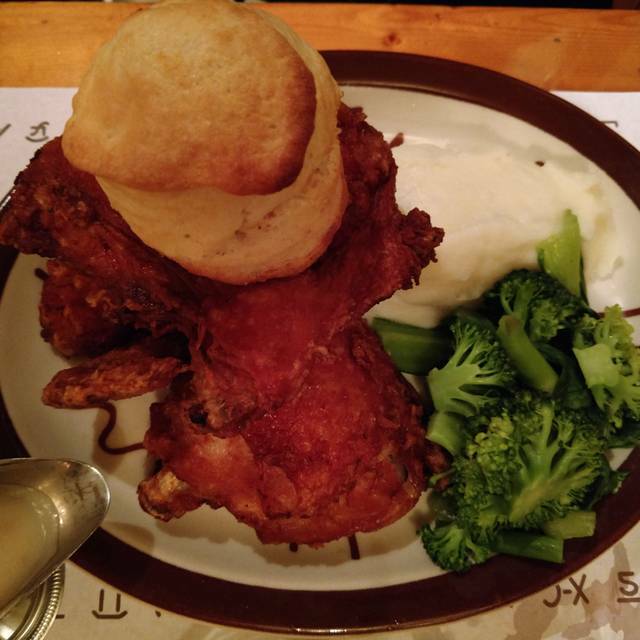 We are famous for our fried chicken, prime beef, and classic Italian pasta, chicken, and veal dishes -- everything being made from scratch in our kitchen using only the freshest, highest quality ingredients. 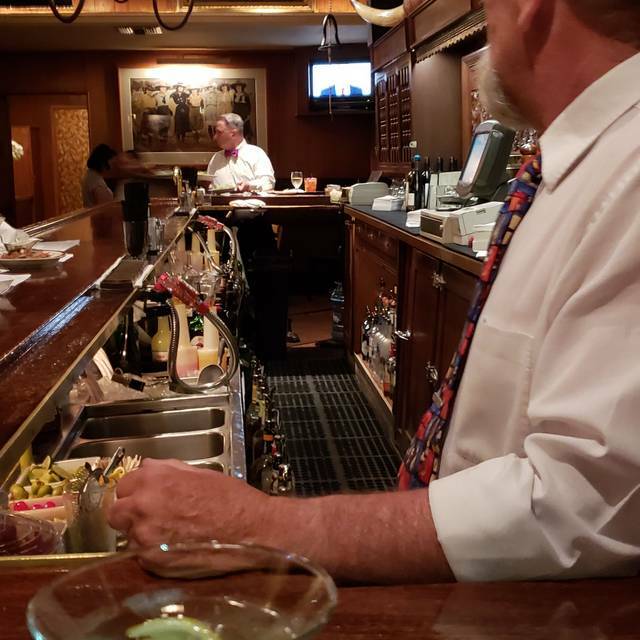 Our full service mahogany bar is a popular stop for locals and visitors looking for a nice refreshment and a hearty meal in a cozy, friendly atmosphere. We have three dining rooms, each with a slightly different character afforded by our hand-formed brass hearth fireplace, Western original art collection, famous antique gun collection, and alluring floral arrangements. Fettuccine and/or linguine with your choice of sauces. Casa Orinda offers a changing variety of delicious desserts made from the freshest fruits, the highest quality chocolates, and premium ice creams. Please ask your host or server about tonight's desserts! It was a Monday and crowded! Lots of birthdays including my own. Food is anyways good here ! I'm never disappointed here!!!!! The Staff & Food are always top notch. A great place to meet with friends and family for just dinner or a special occasion. Casa orinda is an institution. One can expect to get a great meal, and that's why it's been around so long. The food was great. 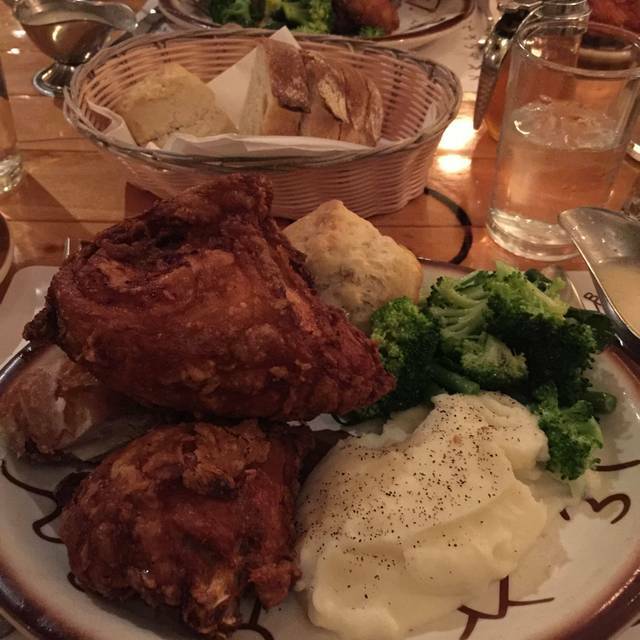 Our favorites are the fried chicken and the cobb salad. Plus they make a great manhattan. It was a very busy night but the service was excellent! the bathrooms, and that is so nice! We always look forward to returning to Casa Orinda! Love this restaurant. The staff are great, the fried chicken can't be beat, and the drinks are the best. Top notch in every way--wide and attractive menu--service and friendliness unsurpassed--valet parking. Good chicken parmigiana. Swordfish was meh. Server forgot to bring glass of wine. Fair price for drinks. Food prices... not worth it. Noise level is equivalent to a gunnery range. Ordinary conversation is impossible so everyone seems to resort to shouting which makes matters exponentially worse. Some sort of sound reduction materials should be installed. 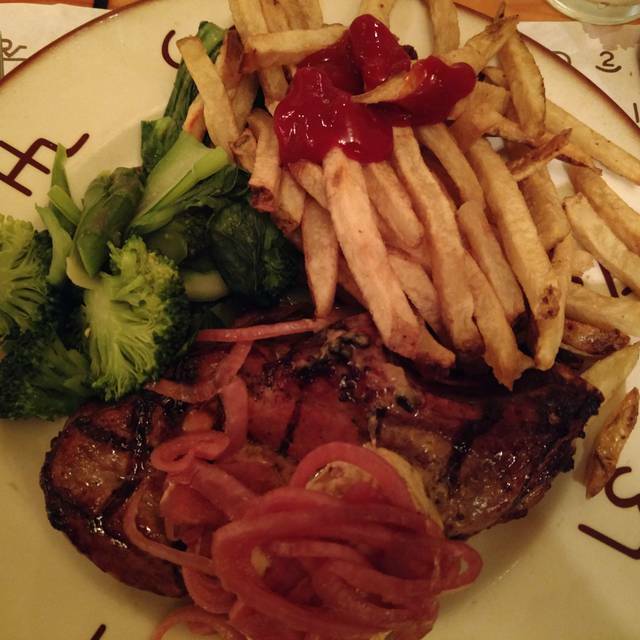 Casa Orinda serves comfort food in a Western-themed calm atmosphere with excellent service. Biscuits and fried chicken are the best. Great collection of memorabilia. Always a wonderful evening at Casa Orinda. The food was delicious! Love this place for the character and local charm. A true classic. We had a large party upstairs and it was fabulous - great food, great service, and since there were a lot of kids, we didn't have to worry about disturbing any other diners up there. Fried Chicken + Martini = heaven. Burgers are fantastic too. Love this restaurant. My favorite in East Bay. The bar and its bartenders, the most friendly. Always seem to meet someone new. Conversations start easily here. Food service at bar for singles-great. Valet parking boys love my dog and care for him. Food quality always excellent plus they will make changes for your tastes. Table servers the best also, courteous and efficient. Well, you have to understand what you are getting yourself into, when you visit Casa Orinda. Is it a Michelin Starred, culinary experience? No. Is is great good, in a fun, old-school atmosphere with excellent service and a great vibe? Absolutely. It’s like stepping into a time machine and having an old-school, fun-time at dinner! 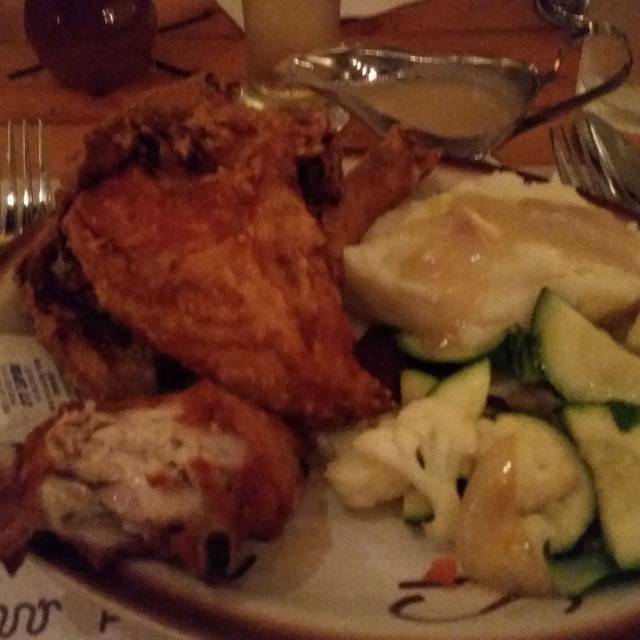 Have a drink, sit by the fire and mow down some Fried Chicken! Our family went to Casa Orinda to celebrate a birthday. Our waitress was super friendly and very attentive. Food was delicious. As usual, Casa Orinda delivered in full, despite Open Table screwing up our reservation. The Casa immediately made it right which is another reason we have been coming here on every Bay Area trip for the last 40 years, as well as 10 years prior to that with my family as a young girl. Just something special about this spot, filled with great memories, excellent service and great food....Thanks Casa! Always excellent food and service that is on point! Celebration of friends’ bdays. Love the fried chicken. Great desserts too! Keep in mind: It's an Italian-menu steakhouse with a cowboy motif and 50's vintage ambiance. Trendies might hate it. The steaks, prime rib (some nights) and fried chicken are all outstanding, and the red-sauce Italian food will remind you of your favorite red-sauce places growing up or in college. I love it. We all loved our meal choices! The Casa has been one of our “go to” spots for decades. It hits on all cylinders and is a model of exceptional consistency. Yesteryear spot which is consistent...nice local restaurant but not if one is interested in healthy, low-fat foods. I have been eating at the Casa Orinda for 40+ years!! And I rate it among my top 5 favorite restaurants. We know what to expect both from the standpoint of the excellent food and consistently good service. That is why we keep coming back. We arrived late but were well taken care of. The service was excellent. This was our second time at Casa Orinda and we were disappointed. We still have never been seated in the main dining room. The food took over an hour to be served. Our server checked on the table maybe once within the hour, did not clear our salad plates, and the food was just mediocre. A very big bill was all that we received. Not worth the price for the mediocre food and poor service. Been going for over 40 years. Always great!!! Kids and family have always had fried chicken. Setup a reservation for the following day. Found street parking as the parking lot seems to be valet only. Service was prompt. Fried Chicken was good as expected, but the Tournedos was better!. Prices are decent. The only weird thing is how dark it is inside the place. Overall happy and will be back. Great atmosphere, delicious food, excellent staff. Very noisy. We all had separate dishes and none of us ate much of it at all. Below par food. The food here is consistently good. The atmosphere was quite loud making it very difficult to hear our dining partners. 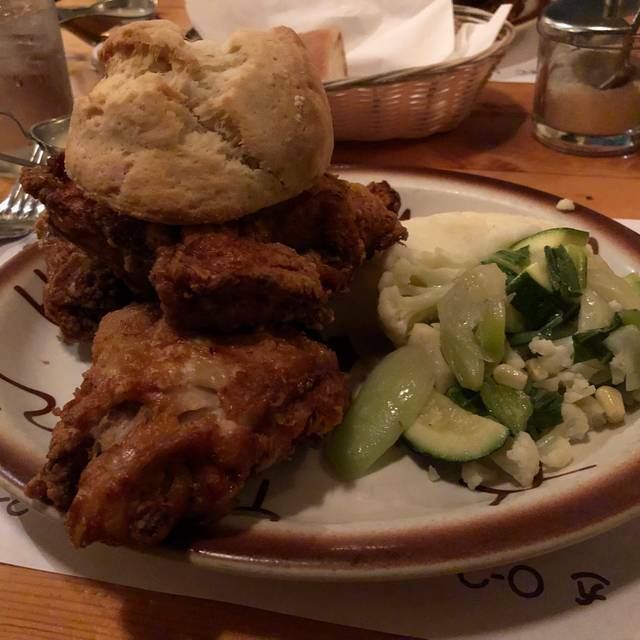 Casa Orinda has great fried chicken. Everything else is mediocre and overpriced for what it is. There is nothing tasty for vegetarians. The eggplant parmesan, vegetable pasta, and fettuccini are not very good. Great food. Nice ambiance. Restrooms are clean. Staff is well dressed. Be prepared to tip for valet parking. 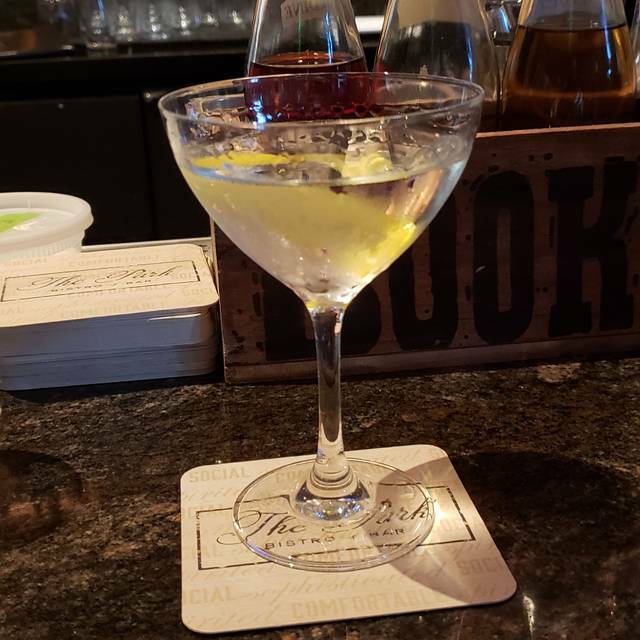 There is no cocktail menu so you need to ask for basic drinks like an old fashioned or martini.